Lamacchia Realty is happy to provide Burlington, MA with services to home buyers & sellers. Whether you have just started thinking about buying a new home or if your house is on the market but isn’t selling, please feel free to reach out! Selling A Home In Burlington, MA? Buying A Home In Burlington, MA? With the number of homes currently being sold within and around the community of Burlington MA, it’s important that you stay on top of the newly listed homes and homes with reduced prices. Burlington, MA is a modest size town with around 25,000 residents. There are constantly houses being put up on the market and our local agents are able to stay on top of everything. While every home isn’t the same, there is a majority of homes in the area that are ranch homes or split-entry style houses. There was a huge boom in population between 1955-1965 when these type of homes were constructed. The median home price in Burlington, MA at $439,400. Median rent is $1,693. If you are looking to do some shopping, hop over to the Burlington Mall, a Simon Mall. This upscale mall has over 185 stores. Right down the road from the Burlington Mall is Wayside. Wayside is home to many shops and restaurants. Shopping to highlight, L.L. Bean, West Elm and Carter’s. Restaurants to highlight , The Capital Grille and Seasons 52. If you’re looking for some fun, try Kings Bowling or even Flight Experience which is a flight simulator that also happens to have programs for kids. Near the mall there is also a movie theater. If you would like to get outside then check out Mary Cummings Park. This public park has over 200 acres filled with picnic areas, walking paths, and playing fields. Burlington is home to four elementary schools, one middle school and one high school. Burlington High School enrolls about 1,100 students and has 90 full time teachers, making the student teacher ratio 12 to 1. Burlington high is performing above state averages in both mathematics and reading. The schools Advanced Placement® course work and exams participation is at 46%. 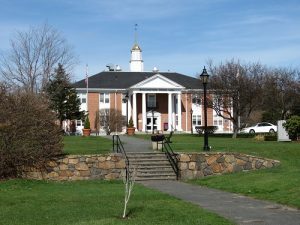 Also located in Burlington is Shawsheen Technical School.